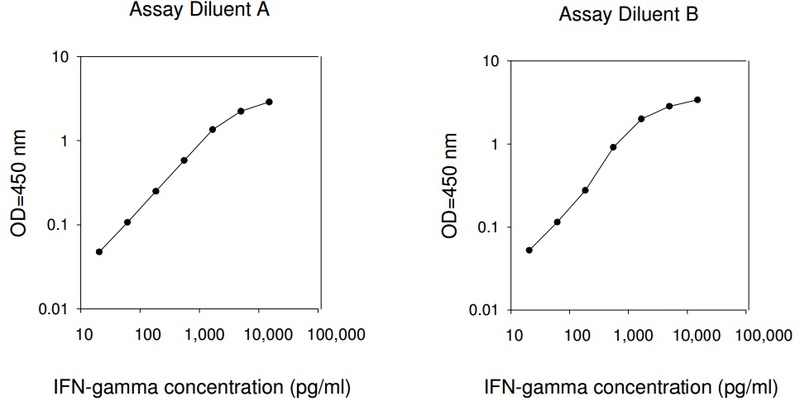 RayBio® Human IFN-gamma ELISA Kit for cell culture supernatants, plasma, and serum samples. This ELISA kit shows no cross-reactivity with any of the cytokines tested: Human Angiogenin, BDNF, BLC, ENA-78, FGF-4, IL-1 alpha, IL-1 beta, IL-2, IL-3, IL-4, IL-5, IL-7, IL-8, IL-9, IL-10, IL-11, IL-12 p70, IL-12 p40, IL-13, IL-15, I-309, IP-10, G-CSF, GM-CSF, MCP-1, MCP-2, MCP-3, MDC, MIP-1 alpha, MIP-1 beta, MIP-1 delta, PARC, PDGF, RANTES, SCF, TARC, TGF-beta, TIMP-1, TIMP-2, TNF-alpha, TNF-beta, TPO, VEGF. Shi L., Chen S., Zha X., et al. Enhancement of the TCR? Expression, Polyclonal Expansion, and Activation of T Cells from Patients with Acute Myeloid Leukemia After IL-2, IL-7, and IL-12 Induction. DNA Cell Biol. 2015 Jul;34(7):481-8. doi: 10.1089/dna.2015.2810. Liu Y., Liao J., Zhao M., et al. Increased expression of TLR2 in CD4(+) T cells from SLE patients enhances immune reactivity and promotes IL-17 expression through histone modifications. Eur J Immunol. 2015 Sep;45(9):2683-93. doi: 10.1002/eji.201445219. 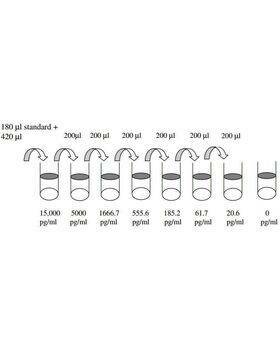 The human IFNg ELISA kit is easy to follow and reproducible. We used the kit with IFNg-secreting human cell lines following the manufacturer's protocol after the cells were treated with LPS. The supernatant was used to detect the IFNg. The kit worked perfectly when detecting high content of IFNg. 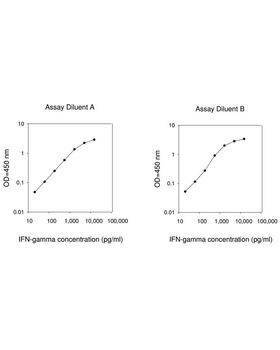 However, when the IFNg content is low in the samples, more repeats may be needed as the sensitivity or accuracy of the kit is becoming low, too. Overall, the kit works well in detecting IFNg.